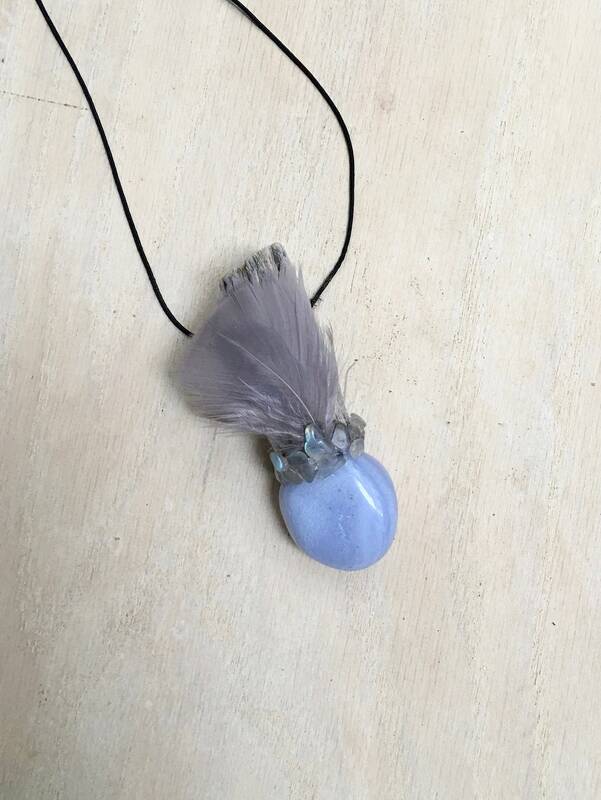 Assists with Connecting to Higher Realms; Brings Peace, Tranquility & Open Clear Communication; Encourages Intuition, Inner Knowing, Compassion, Healing, Self-Nurturing & Self-Love. Cholla Cactus Medicine - resolution through letting go of your present attitude and approach to a problem, seeing from a higher perspective. Assists with releasing struggle which creates resistance. Allowing an expansion of your mind and higher consciousness which can embrace apparent duality, bringing greater integration within yourself. Encourages joyfully being with others without defensiveness or pretension. 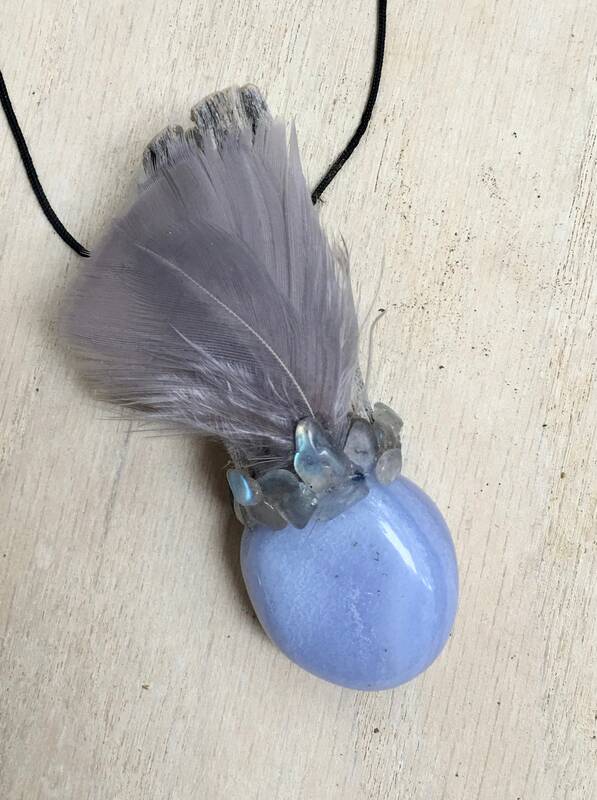 Blue Lace Agate - is a gentle, calming stone that brings you grace and tranquility. 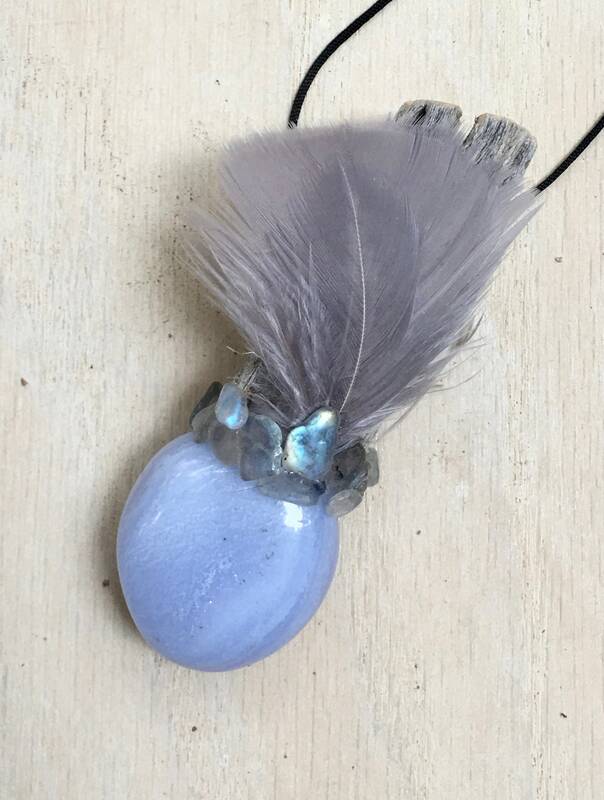 It lessens anger and calms nervousness; brings peace, inspiration and it enhances clear self-expression, while helping to access the highest energetic realms; opens self-expression, as it allows you to speak your truth peacefully and calmly, and aids in releasing your fears. 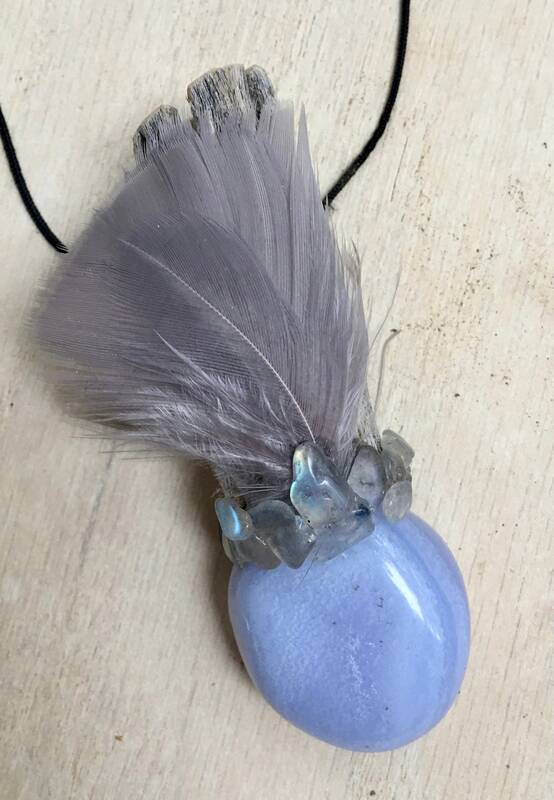 One of the best stones for opening your Throat Chakra. It can help bring stronger intuition and inner knowing. 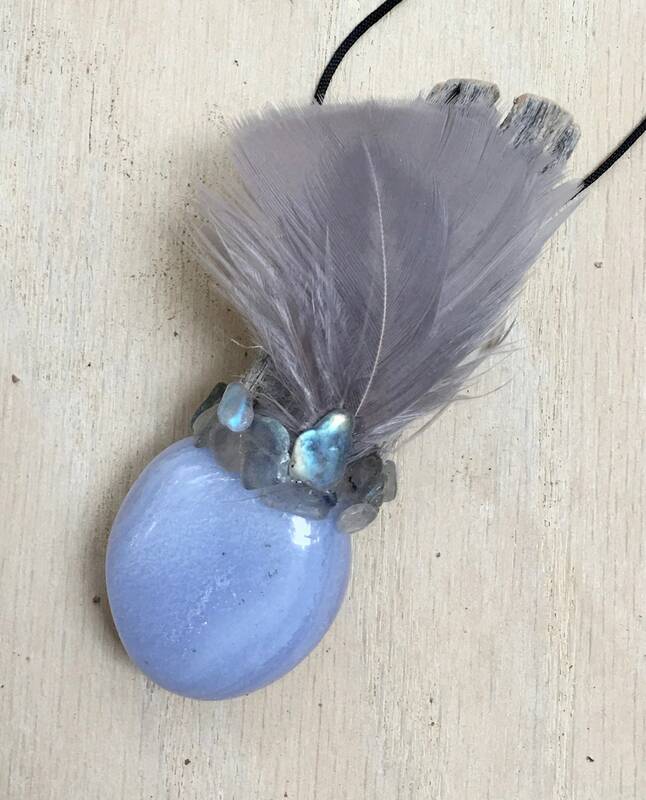 Gray Rainbow Moonstone – Assists with seeing things from a higher perspective and facilitates problem solving from that perspective. Purifies energies. Strengthens connection to higher realms and encourages giving love and compassion to others and the self. Connected to the Divine Feminine encourages healing, self-nurturing and self-love. 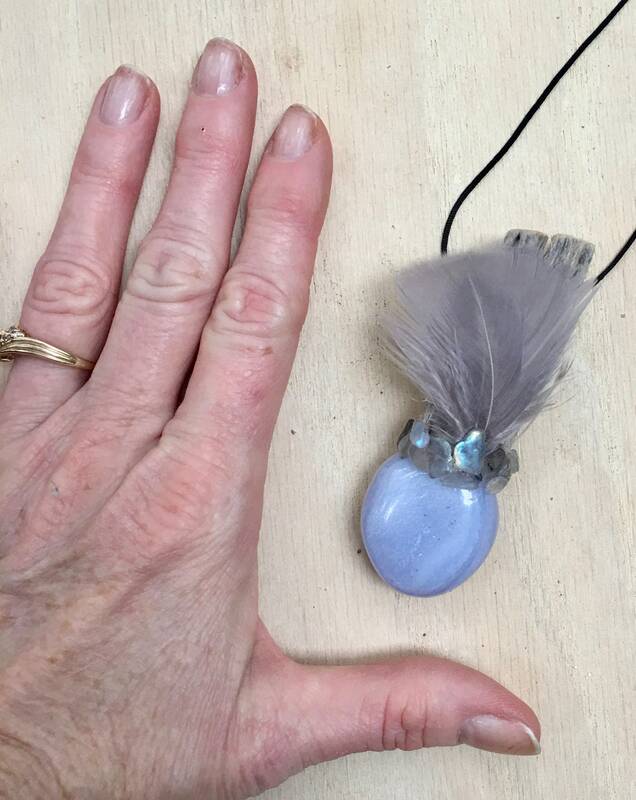 3 inches long; Blue Lace Agate 1 inches.